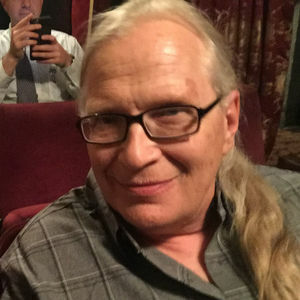 William T. ("Bill") Schneider, 63, a lifelong resident of McHenry, died March 22, 2019 at the Northwestern Medicine McHenry Hospital. Bill was born December 29, 1955 the son of Michael and Frances Schneider. He graduated from the American Academy of Art, class of 1976. A talented artist in multiple mediums, including painting and photography, his works include the original McHenry Parks & Recreation Department logo as well as his own custom t-shirt designs "Riverview Memories". A kind and sensitive soul, as well as a jokester, he was known to friends as "Smiling Bill" and "Da Biller". He loved going to concerts, the woods with his dog, Broadway shows, and especially visiting his daughter in NYC. He was a devoted father and loyal friend who will be missed by all who knew him. He is survived by his daughter, Kaylie, and his dog, Hank; in addition to his brothers John and Mike. He was preceded in death by his parents and sister, Francy. A memorial service will be held on Sunday March 31, 2019 from 1:00pm until 4:00pm at the Colonial Funeral Home in McHenry. For further information, please call the funeral home at 815-385-0063. Add your thoughts, prayers or a condolence to William 's guestbook.